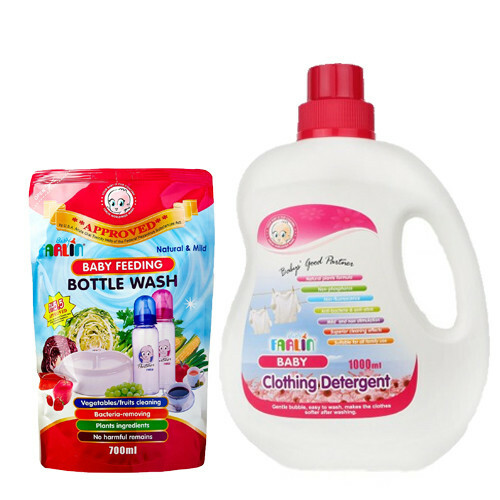 The Farlin Baby Clothing Detergent is specially designed keeping your baby’s health and hygiene in mind and Cleaning your baby's bottles is essential, as feeding bottles are something which are used on a daily basis and Also for cleaning vegetables, fruits, toys and tablewares, etc. Washing baby clothes with regular laundry detergent is not always safe for your baby because laundry detergents use harsh chemicals that may cause your baby discomfort.The phosphorus and fluorescent-free baby laundry detergent uses natural plants formula that is safe for your baby and cleans out dirt and stains effectively.detergent has antibacterial properties, ensuring your baby’s clothes are germ free.Farlin Feeding Bottle Wash - Refill to keep your little one's bottles clean and free of germs.Formulated with food-grade natural plants which is mild and non-irritable so prevents chapping of hands. 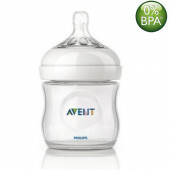 As this bottle wash is formulated with plant extracts, it is safe for use and ensures your little one is not harmed.